Art in Windows Winners Announced! You are here: Home / Art in Windows Winners Announced! Vote for Your Favourite Art in Windows & Enter to Win! 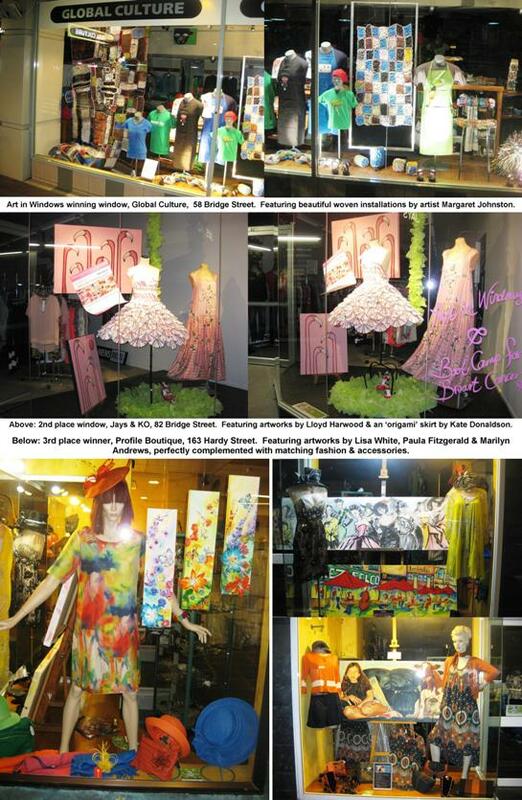 Nelson’s retail windows have been turned into a roving art gallery with the creativity of more than 55 local artists showcased in the annual ‘Art in Windows’ promotion. Art in Windows is a joint initiative between the Nelson Arts Council and Uniquely Nelson. It gives local businesses an opportunity to celebrate Nelson’s vibrant arts culture and participate in and support the Nelson Arts Festival. And it gives local artists an opportunity to showcase their work in an accessible and public way. The public can vote for their favourite window, with all entries going in the draw to win a piece of Jens Hansen jewellery valued at $500. 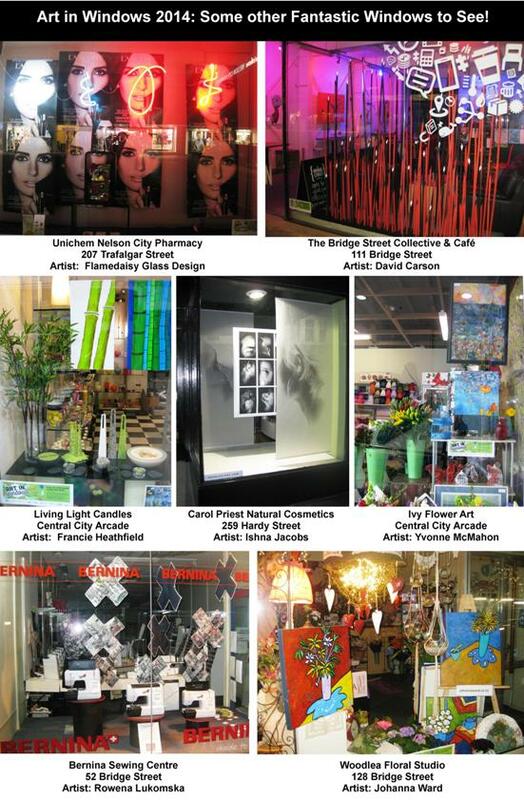 An official Art Trail Guide and details on how to enter are available from participating businesses or on-line at https://uniquelynelson.nz/art-in-windows/. 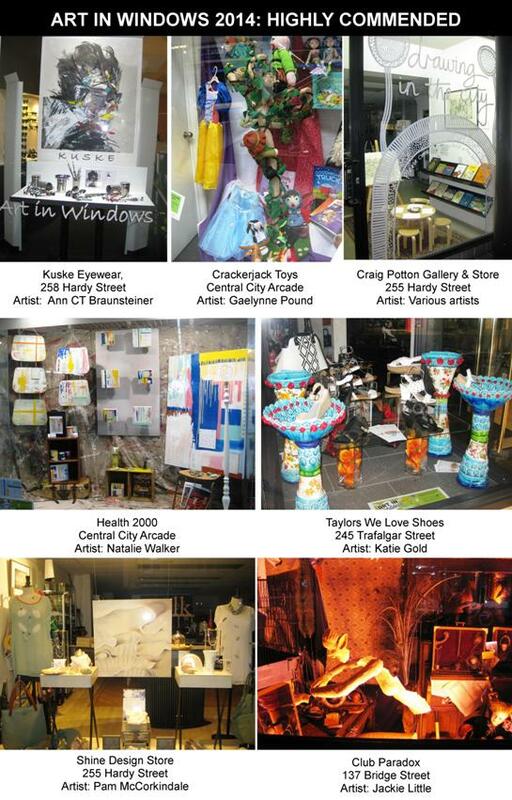 Voting for the People’s Choice Window closes Monday 27th October and the winner will be contacted next week. 1st – Global Culture, 58 Bridge Street. 2nd – Jays & KO, 82 Bridge Street. Featuring artworks by Lloyd Harwood and an ‘origami’ skirt by Kate Donaldson. 3rd – Profile Boutique, 163 Hardy Street. Featuring artworks by Lisa White, Paula Fitzgerald & Marilyn Andrews, perfectly integrated with complementary fashion and accessories. The retailers with the 1st and 2nd place windows each receive $500 advertising vouchers from the Nelson Mail and The Radio Network. The retailer with the 3rd place window receives a $250 morning tea shout courtesy of NBS.